IST is an industry leader in applying innovative approaches to subsurface remediation, with many successful remediation projects in the United States and Europe. We have applied a wide range of remediation technologies to a variety of sites and contaminants and have successfully brought numerous sites to closure through active remediation. IST has also avoided active remediation at many sites through risk assessment, regulatory negotiations, and analysis of monitored natural attenuation alternatives. Partnered with a construction management firm, IST was the technical lead, designer, and operator for one of the largest remediation projects in the world: a system designed to remediate an oil-well blowout in Trecate, Italy. This system integrated biopiles, bioventing, vacuum-enhanced oil recovery, landfarming, and intrinsic bioremediation on a site that covered an area of approximately 1.5 square miles. 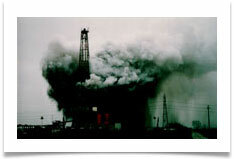 IST personnel have authored numerous textbooks on remediation techniques and principles, published widely in the technical literature, and served as peer reviewers for several respected technical publications. IST is an internationally recognized leader in bioremediation, with numerous staff publications documenting experience with many in situ and ex situ bioremediation systems that we have installed around the world. Additionally, IST staff have repeatedly chaired international conferences, symposia, and discussion forums in the areas of bioremediation and remediation technology. IST’s remediation experience also includes many demonstrations of natural attenuation and monitored natural attenuation of organic compounds and arsenic. 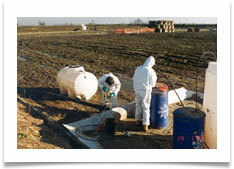 IST’s remediation philosophy is to help clients achieve site cleanup goals as efficiently and quickly as possible. Well conceived pilot testing, system design and installation, system run time maximization, and system optimization achieve this. Quantifying the progress of cleanup (contaminant mass removal and concentration reduction) provides evidence to petition for site closure. This quantification often paves the way for the approval of natural attenuation tracking or granting a status of no further action at a site.